To date, we’ve had a good cross-section of interests represented including lessons learned (what to do/what not to do), finding venues for improving or troubleshooting aspects of government contracting, and of course networking or other forums to increase opportunities for one's organization. To move ahead, we are holding an introductory planning meeting on Tuesday, December 16th at 4:30 pm. The meeting will be held at LMI (my firm) which is in Tysons Corner, right at the intersection of Route 7 and 495. Logistics: There is ample garage parking. There are visitor spots and direct access into the building on the 3rd floor. Please go to the reception area (can’t miss it) on the first floor to get a visitor’s badge. The meeting will be held on the 8th floor. Looking foward to your input and energy. Thanks to Alan for suggesting this roundtable and for the warm welcome to the Club. I would like to hear of your interest in establishing a roundtable on Government Contracting. What outcomes do you want to see from a roundtable about this subject? What topics are worthy of discussion? What conversations or dialogues could you benefit from? Also, I would like to understand the diversity of perspectives you have to offer so please indicate whether you represent a business, public sector, non-profit or other type of organization. My bias tends to be federal, so definitely indicate if you have an interest in state and local procurement also. Please contact me at mmittal@lmi.org with your input. Based on your interest, I will look to plan an introductory lunch meeting at Brio, potentially the first or second Friday in December depending on the level of interest we hear over the next week. Also, please note: If you're a current member of the DC Wharton Club, you can save $50 on a procurement program in Maryland on December 10. Click here for more information. (If you're not now a member, join or renew, to get this saving and other savings worth many hundreds of dollars throughout the year, plus invitations to exclusive events). 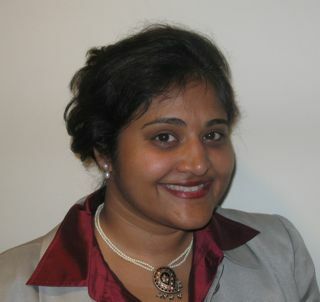 Monisha has more than 15 years experience in organizational and business process analysis at both the non-profit and federal levels, with a current focus on federal information technology (IT) management. Currently with LMI Government Consulting, she focuses on identifying enterprise architecture improvements, conducting strategic acquisitions, and developing business cases to support IT investment decisions at federal organizations. Most recently, she led her team to formulate and execute multiple competitive procurements for enterprise implementations that produced upwards of $30 million in cost savings for the federal government. Monisha maintains a strong interest in exploring the innovation and communication that occurs when individuals or organizations cross boundaries—be that disciplines or work cultures. In her spare time she enjoys creative writing, cooking, visiting friends and family, and travel. She received her B.S in Economics from the Wharton School and her Masters in Public Policy from Harvard's Kennedy School. She and her husband recently returned to the DC area from Philadelphia.